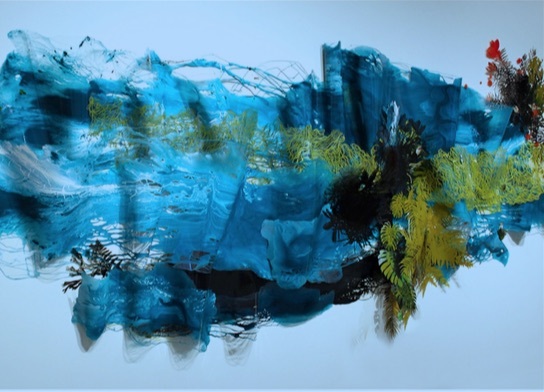 Resa Blatman will speak about her work exhibited in "deep," and how it's inspired by ongoing climate changes and destruction, and her 2015 artist residency to the Arctic Circle. Climate specialist Bryndís Woods will be joining Resa to discuss her experiences tackling climate issues from economic, scientific, political, and social perspectives. Bryndís is a PhD candidate in Environment and Natural Resources at the University of Iceland and a staff writer for the International Institute for Sustainable Development.